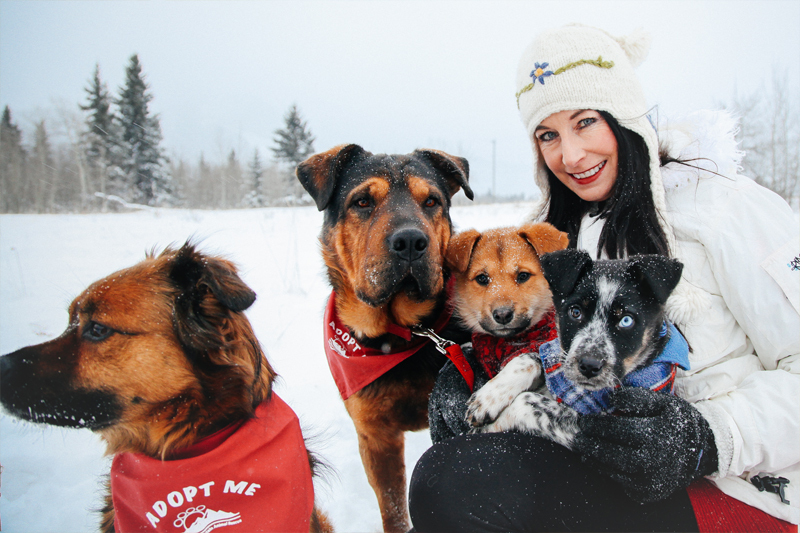 The Rocky Mountain Animal Rescue is a private sanctuary founded by Rory O’Neill in 2000 that rehabilitates and adopts out dogs and cats who have been rescued from some of the most unforgiving places within the Northwest Territories of Canada, Mexico and California. It is also one of the few non-profit organizations in Canada that perform rescues after natural disasters, having successfully extracted and re-homed over 75 dogs during a two month mission to New Orleans after Hurricane Katrina. Thanks to Rory O’Neill’s experience in animal behaviour and rehabilitation, even the most affected dogs and cats are given a second chance. Every animal that comes into the sanctuary is worked with, either one-on-one with Rory or with one of her trusted team members, until they are ready to be placed with a new family. Are you ready to add a new member to your family?